Gain a greater understanding of gender in the Bible through the eyes of a diverse group of evangelical scholars who assert that Christians have missed the point of some scriptural stories by assuming the women in them were "bad girls." While many have written studies of the women in the Bible, this is a new kind of book--one in which an international team of male and female scholars look afresh at vilified and neglected women in the Bible. The result is a new glimpse into God's heart for anyone, male or female, who has limited social power. Villains: Cain, Pharaoh -- King of Egypt, Delilah, Goliath, Jezebel, Nebuchadnezzar, Haman, Herod the Great, Herod Antipas and Herodias, Judas Iscariot, Pontius Pilate, Abimelech, Lot, The Levite who abandoned his concubine, etc. Cuando nos remontamos a la era de Abraham, encontramos personas que inventaban supersticiones falsas para explicar lo inexplicable. Reyes poderosos que se creían dioses, edificicaban pirámides inmensas para tratar de alcanzar la inmortalidad. De toda esa masa de malentendidos salió un hombre. A ese hombre lo conocemos hoy en día como Abraham; quien no sólo afirmó que existía un Creador verdadero, sino que también se jugó la vida por esa creencia. Y por qué miles de años más tarde, estamos todavía discutiendo la fe de este nómada del desierto? El Pastor Chuck Swindoll, uno de los más conocidos maestros de la Biblia, da la respuesta a esa pregunta y a muchas más en esta apremiante y perspicaz biografía que inspirará tu propia fe. When we rewind history back to Abraham's era, we encounter people who concocted false superstitions to explain the unexplainable. Powerful kings claimed to be gods, building massive pyramids to achieve immortality. Out of this mass of misunderstandings, one man emerged. The man we know today as Abraham not only claimed that one true Creator existed but also staked his entire life on this belief. Why, thousands of years later, are we still discussing the faith of this desert nomad? 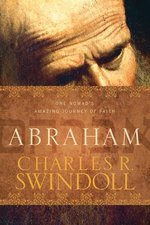 One of America's most popular Bible teachers, Pastor Chuck Swindoll, answers that question and many more in this compelling and insightful biography that will inspire your own faith. When we rewind history back to Abraham's era, we encounter people who concocted false superstitions to explain the unexplainable. Powerful kings claimed to be gods, building massive pyramids to achieve immortality. Out of this mass of misunderstandings, one man emerged. The man we know today as Abraham not only claimed that one true Creator existed but also staked his entire life on this belief. Why, thousands of years later, are we still discussing the faith of this desert nomad? 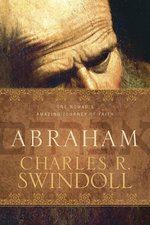 One of America's most popular Bible teachers Pastor Chuck Swindoll answers that question and many more in this compelling and insightful biography that will inspire your own faith. In many ways he was a most extraordinary man?intelligent, handsome, abundantly gifted as a poet, musician, warrior, and administrator. Yet in other ways he was a most ordinary man?often gripped by destructive passion, rocked by family chaos and personal tragedy, and motivated by political expediency. How did David become the national hero of God's chosen people? Why is he the one character in the Bible described as "a man after God's own heart?" Chuck Swindoll explores the many facets of David?from his teenage years and dysfunctional family life to his overwhelming passion for God. David's life offers hope to all of us. It shows that God can do extraordinary things through ordinary men and women. 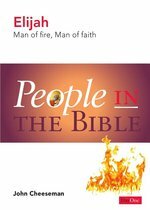 And David offers an insightful perspective on what it means to be truly spiritual, to become like David?men and women after God's own heart. ELIJAH MAN OF FIRE MAN OF FAITH PEOPLE OP! 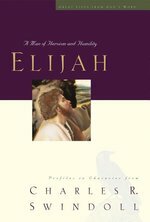 Elijah's life and times are remarkably similar to our own, and here are clear and important lessons for modern people. Swindoll explains that these men and women did not become great in their own strength but were empowered by God when they surrendered their lives to Him. To live such a life that God considers great is within the reach of everyone who submits to Him. Faith is a lifetime journey through different seasons, not a one-time commitment. 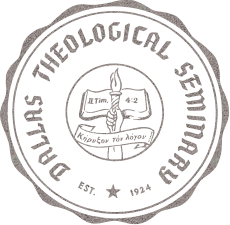 Typically, we experience summery days of joy and success, together with autumnal or wintery experiences of fear, disappointment, and grief. In this candid look at Elijah, a man who not only had great faith but also had to trust God through times of loneliness, misunderstanding, stunning accomplishment, and heart-stopping fear, we can glean help for our own life journeys. Scripture makes it clear--Elijah was a man of God, but he was no angel: a human, just like us. The man who ended up holed up in a cave of depression also was granted a leading part in the transfiguration of Jesus. He glimpsed both despair and glory. In tracing his travels, there's much for us to learn. FASCINATING STORIES OF FORGOTTEN LIV OP! Think carefully! The answer to that question will shape your entire future. "They aren't. Not really. Most often, the people really worth noting are those who turn a 'nobody' into a 'somebody' but never receive credit." What is forgotten far too often is this: "Success in God's kingdom and in the church depends upon faithful people the public rarely knows." The Old Testament contains numerous fascinating stories of forgotten lives--unsung heroes whose actions, sacrifices, or battles failed to ascribe them worldly renown. These great lives, however, reveal "significant" people whom God honors in the pages of His Word and, therefore, deserve our serious attention and emulation. Adino took out eight hundred armed, skilled fighting men "with his sword." Eleazar attacked the Philistines by "himself" for so long that his comrades had to pry his sword out of his grip. Shammah, while his companions ran like scared cats from their enemies, "stood his ground--alone--and was victorious." And yet, did you recall any of their names? They're not on the rolls of the rich and famous. Still, they are "significant."